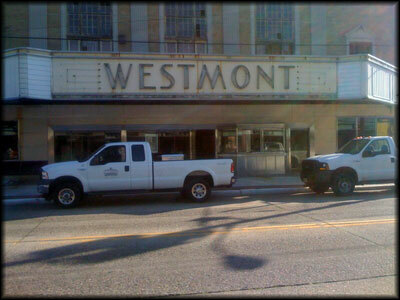 This morning two Haddon Township work trucks were parked out in front of the theatre. A handful of Haddon Twp. employees (perhaps from public works) went inside the theatre to do some work. What kind of work? We do not know just yet. When we have more information we’ll post it right away! This entry was posted on Tuesday, June 8th, 2010 at 1:20 pm and is filed under Matinee. You can follow any responses to this entry through the RSS 2.0 feed. You can leave a response, or trackback from your own site.